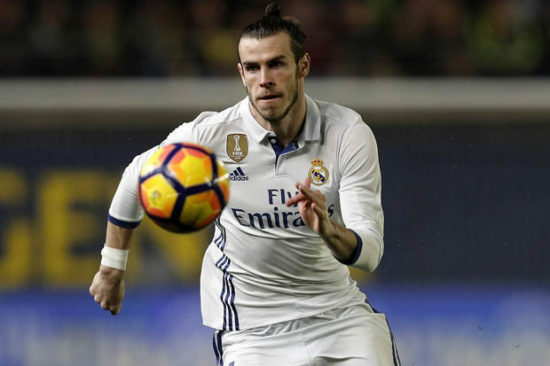 Manchester United could still sign Real Madrid star, Gareth Bale as the player considers his future at the Santiago Bernabeu. The 29-year-old has been assured of his importance by new manager, Julen Lopetegui but the increased interest by Florentino Perez to sign Eden Hazard means that he could still find himself in second fiddle following the exit of Cristiano Ronaldo. The player has never felt the love of the Madrid fans despite the fact that he has done so much in his five years at the club. He scored twice in the Champions League Final victory over Liverpool, with his first strike being touted as perhaps the greatest in the competition’s history. Mourinho wants Bale to spearhead the attack and add more quality to an attack that struggled at certain times last term. He is direct, fast and is a threat at setpieces. The fact that he is very direct means more joy for Romelu Lukaku, who needs more service from the flanks to get the best out of him. It was reported yesterday that Bale could still be signed by the Red Devils if Madrid don’t place him at the level he feels he deserves. Romelu Lukaku will be looking to score more goals in his second campaign, but he struggled at some points as the support cast failed to give him service on a constant basis. At the World Cup, he scored four goals and showed why United should be able to get more players that will provide him with more service. Bale is a left-footed player who can play on either flank. He is good at dribbling, creativity and finishing. He scored 21 times in 39 games last term, taking his tally to 89 matches to 188 matches for the 13-time Champions League winners; he would be a great addition to us, but the question is whether we could bring him in. The way I see it, if a player doesnt fight to join Utd, he wont fight on the pitch. Utd have shownj him so much desire and love, if he really is all about being important he should have flown out of Real as he will prob not be the no. 1 there, ever.. Totally agree and if they don’t get Bale from Real Madrid Malcolm from Bordeaux would be a great addition, he’s attributes are similar to Bale who is much younger and also comes at a cheaper price.